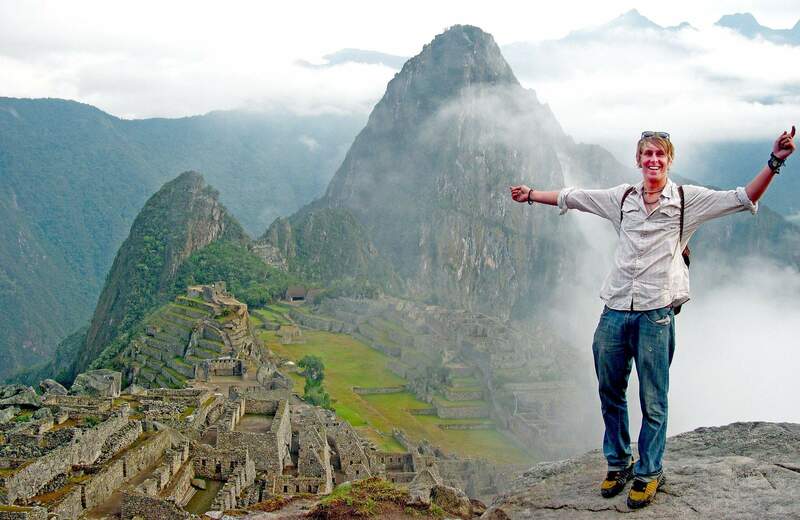 Matt Mulligan traveled through Peru and visited the Inca ruins of Machu Pichu in October 2009. Mulligan graduated from Durango High School in 2009, then took a year off before college to ski in Colorado and travel through South America and Europe. He is now majoring in rhetoric and media studies and studio art at Lewis and Clark College in Oregon. Students are taking time off before college at an increasing rate. 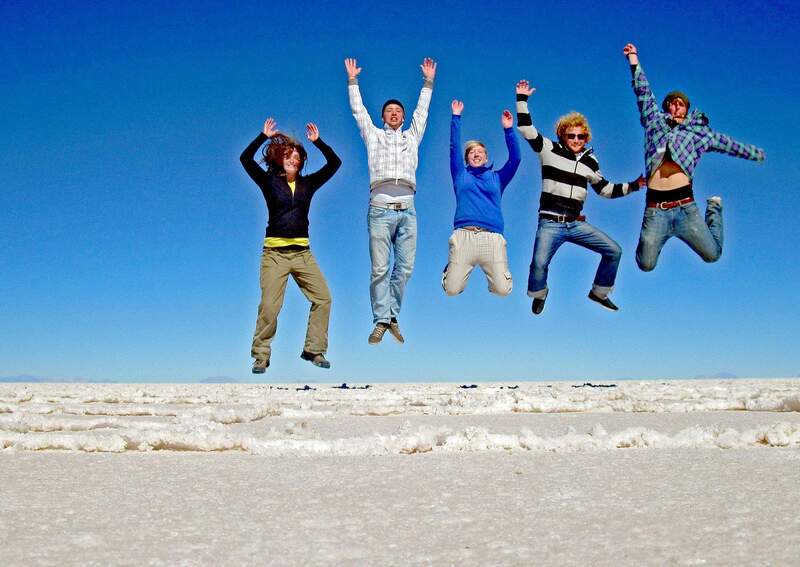 Mulligan and a group of Germans get vertical at Salar de Uyuni, Bolivia, the worlds largest salt flat. 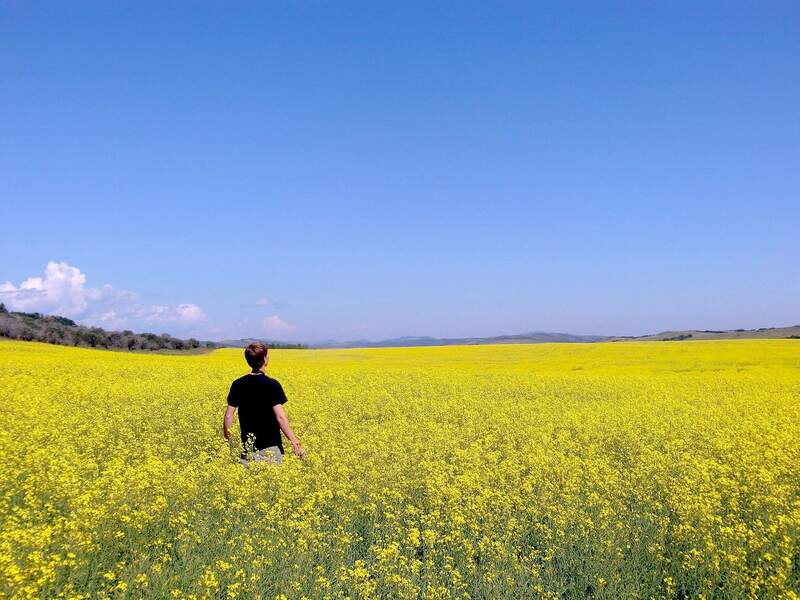 Ben Capelin takes the scenic route through a field of canola flowers on his way to work on an organic cattle ranch outside of Lumby, British Columbia. After graduating from Durango High School in May 2011, Capelin road tripped up to British Columbia where he started his gap year experience climbing, mountaineering, working on organic farms and meeting the wackiest backwards BC folks youll ever meet, he said. Capelin has since traveled down the Pacific Coast to Central America. Matt Mulligan takes advantage of deep snow on Hogsback Mountain after a January 2010 storm. Mulligan graduated from Durango High School in 2009, then took a year off before college to ski in Colorado and travel through South America and Europe. He is now majoring in rhetoric and media studies and studio art at Lewis and Clark College in Oregon. For centuries, humans have set to the road to explore the world and find their place in it. From Che Guevara’s motorcycle trek across South America to Jack Kerouac’s winding trips up and down the West Coast, forging into the unknown has long been the way to find oneself and gain a new perspective. While they may or may not take to spontaneous cross-continent tours, today’s teens still succumb to the allure of venturing beyond home and diverging from the well-worn educational path. Their modern-day incarnation of the much-documented protagonists’ journey? A gap year. Though a gap year can apply to time taken off during any point in the educational or career track, the term often refers to the practice of postponing college for a year after high school graduation. At Durango High School, only a few students in each graduating class take a gap year, said counselor Sarah Wright. Though the decision isn’t one that most students consider, several recent DHS graduates who have taken, or are in the process of taking, a gap year said the experience has revived their motivation, given them direction in life and changed their perspective of the world. They each said the experience is one they would recommend to anyone. “I probably learned more in that year of traveling around than I have during any other period of time,” said Matt Mulligan, who graduated high school in 2009 and took the next year to backpack around South America and Europe and ski in Colorado. The benefits of the solo journey was a theme that ran throughout the students’ stories. “It’s important to get away from everything, to be able to figure out who you are when you are around people that have never known you,” said Mulligan, who is now in his second year at Lewis and Clark College in Oregon. Wright said most students she has dealt with traveled during their gap years. Students have found that organizing and coordinating the trip is no easy task. 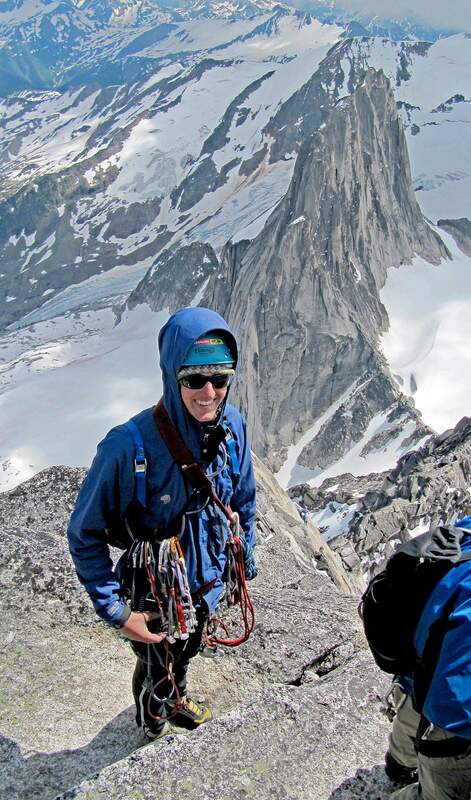 Ben Capelin graduated from Durango High School in May 2011 and is taking the year off to travel from Canada to Central America climbing, volunteering and attending language school. He planned and funded the entire trip himself and has learned to live cheaply, said his mother, Beverly Capelin. Sarah Zemach and Blair Swearingen also self-funded most of their six-month trip to Cambodia and Italy this year through their earnings from summer jobs and savings. The trip has been worth every penny, said the friends, who are now working at a university for American study-abroad students in Italy. Both said they are ready to go to college while they weren’t before. After working with students in rural Cambodia, where higher education is only a distant possibility, “education becomes more like a privilege,” Swearingen said. The experience also has helped them gain a sense of where they wanted to go in life and what they wanted to study in college. For students who are burnt out on school, gap years are an opportunity to take a breather before college, said Jane Sarouhan, vice president of the Center for Interim Programs, which plans gap-year experiences for students. Plunging into the real world also gives recent graduates the opportunity to put their high school learning into practice, Sarouhan said. Throughout his travels across North and South America, Ben Capelin said his philosophies and ideals morphed as they are put to the “real life” test. “It’s been a voyage of reinforcing and exploring ideals that we are all taught from Day 1; the fact being that only through experience do knowledge and ideas become our own,” Capelin wrote in an email from Nicaragua where he is helping build eco-friendly schools. Wright said many college admissions officers have told her that gap-year students tend to come into school with more maturity, have more success in school and transfer out at a lower rate than other students. Colorado College encouraged Capelin to take the year off after he was accepted. He will attend the school this fall. About 5 percent of admitted freshman ask to take a gap year, Bonser said. In its class of 5,600, the University of Colorado at Boulder receives 300 to 350 requests for deferred enrollment, said Kevin MacLennan, director of admissions. Meanwhile, a healthy and growing industry has sprung up to meet demand among students seeking gap-year programs. Over the 30 years that the Center for Interim Programs has been in business, there has been big growth in the number of programs catering to gap-year experiences, Sarouhand said. Families who pay the $2,300 fee charged by the center are looking for someone to filter the overwhelming amount of information on the Internet, rather than find such opportunities, she said. But the economic reality is that only a fortunate few are able to find the financial resources to take a gap year, Beverly Capelin said. In some sense, her son’s gap year has been another “white boy” experience, she said. For those who can make it work, the experience is priceless, gap-year advocates said.